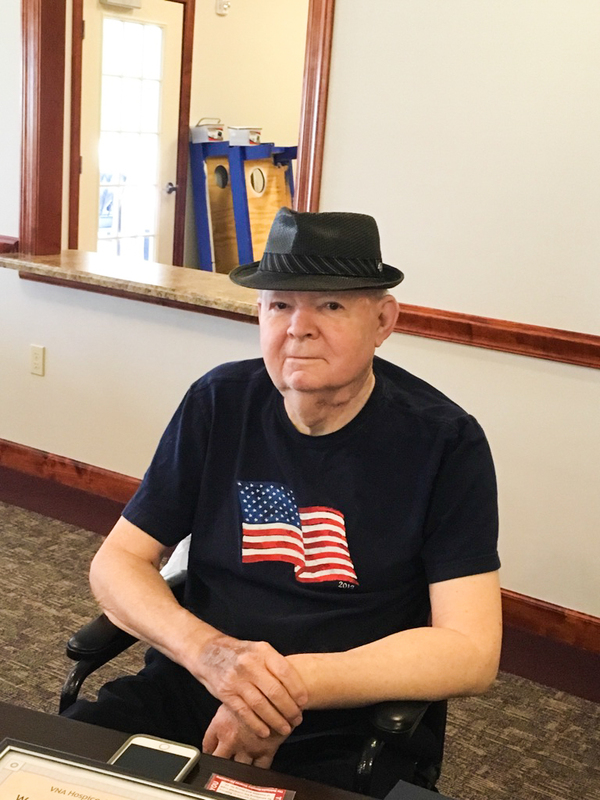 Bob served in the 7th Army Symphony Orchestra from 1957-60, playing his cello with musicians throughout Germany, and in Venice, Brussels and Vienna. 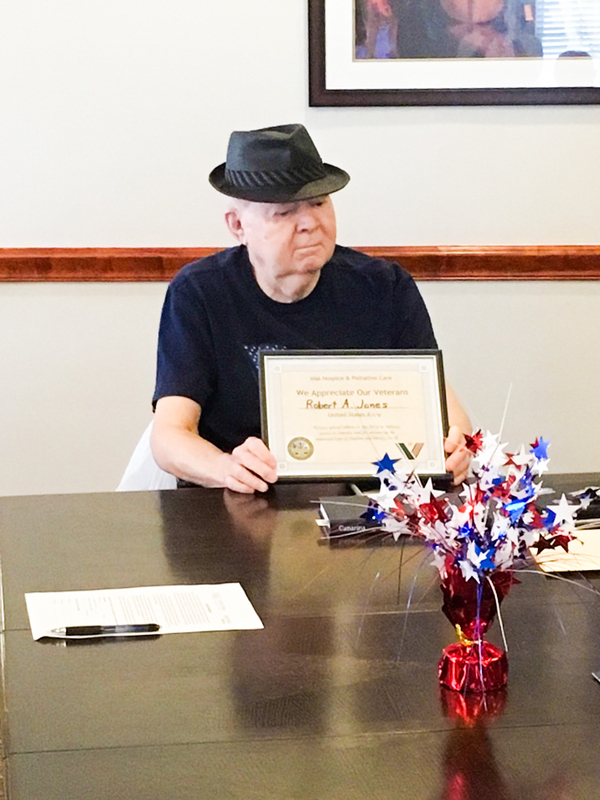 VNA wanted to honor him for his years of military service in a way that would lift his spirits, so in cahoots with his wife, Rose, his care team planned a surprise Veterans pinning ceremony. 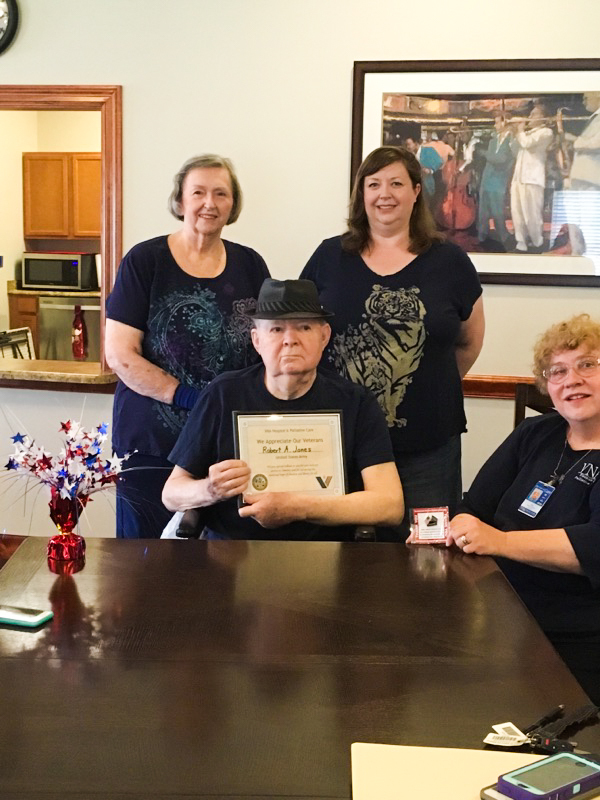 As a member of the Nebraska Hospice-Veteran Partnership, VNA strives to ensure excellent care at the end of life for our nation’s heroes, and to ensure support is available for their families. Rose continues to speak about this event. In addition to helping the client in hospice, affirming the life’s work of a loved one helps family members come to peace and acceptance. VNA hospice cannot prevent grief among family members, but can walk alongside them in their journey.